Tuan Nguyen lays back in his chair smoking his pipe packed with specialty tobacco as he orders me a glass of his unprecedented Ha Giang Buckwheat brew. Tuan and Thơm Brewery’s world is centered around high-quality local ingredients. 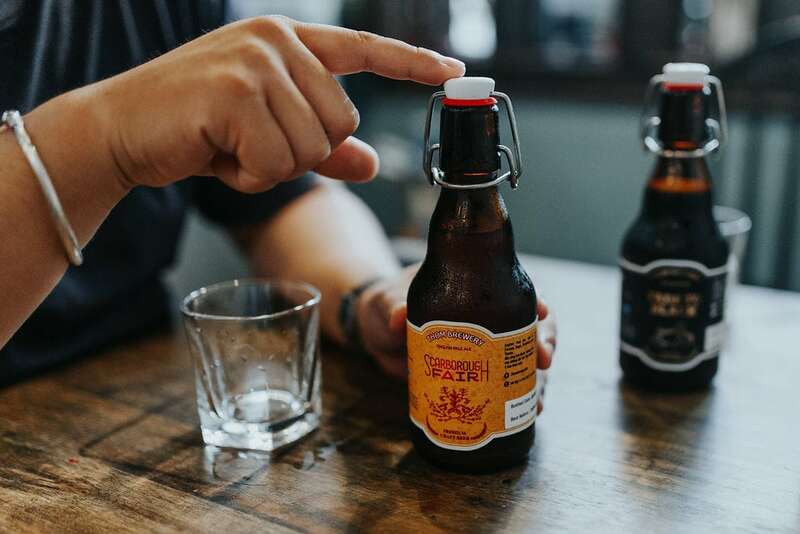 With a background as a chemist as well as a former government official, falling into the world of Vietnamese craft beer seems to have been a natural next step. Co-founder Tuan Nguyen introduces us to his Scarborough Fair English Pale Ale. 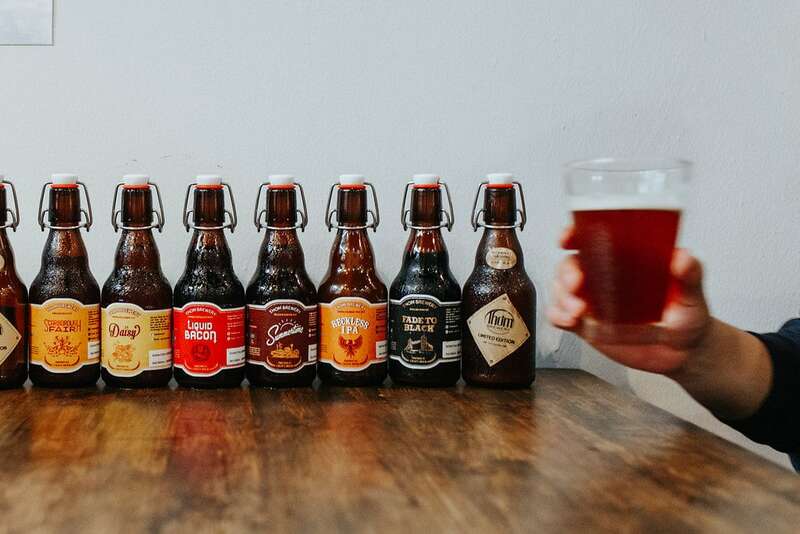 How did you get started in Vietnam’s craft beer industry? I entered the industry with my partner, Pham The Manh. We have known each other for more than ten years. We both used to work for the government. But we always talked about making something special for the Vietnamese people. And during one of our work trips, we tried craft beer for the first time and instantly fell in love with it. Manh and I started doing research. We began to explore different styles of beer from around the world. I also have a background as a chemist so for me, brewing didn’t seem that difficult. What started as a homebrewing hobby quickly grew into something greater. Then we realized that our craft beer was that special something we could give back to the people. So we quit our jobs and opened Thơm Brewery. 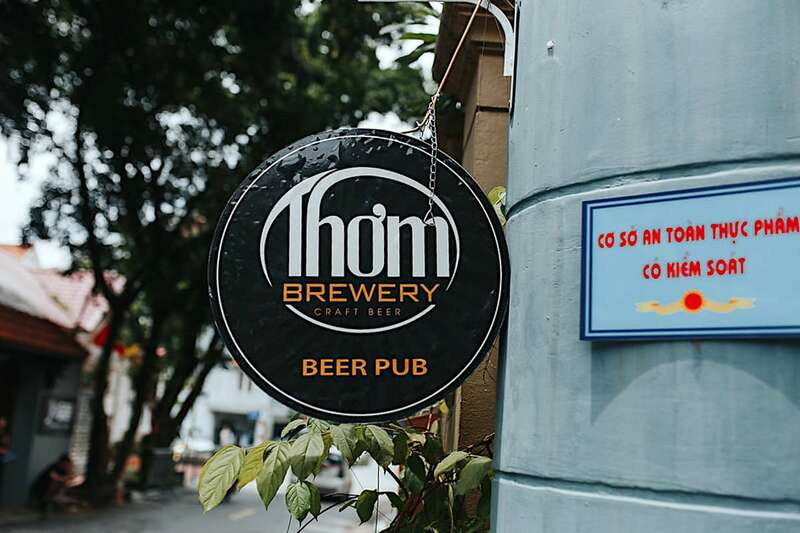 Thơm Brewery’s taphouse is located in West Lake at 60 To Ngoc Van in Hanoi, Vietnam. 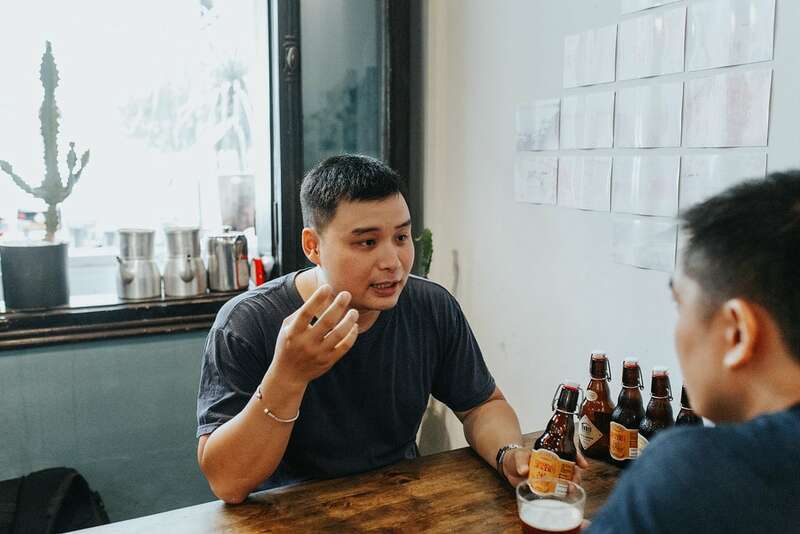 What is the concept and philosophy behind Thơm Brewery? Our brand centers around the agriculture industry in Vietnam. 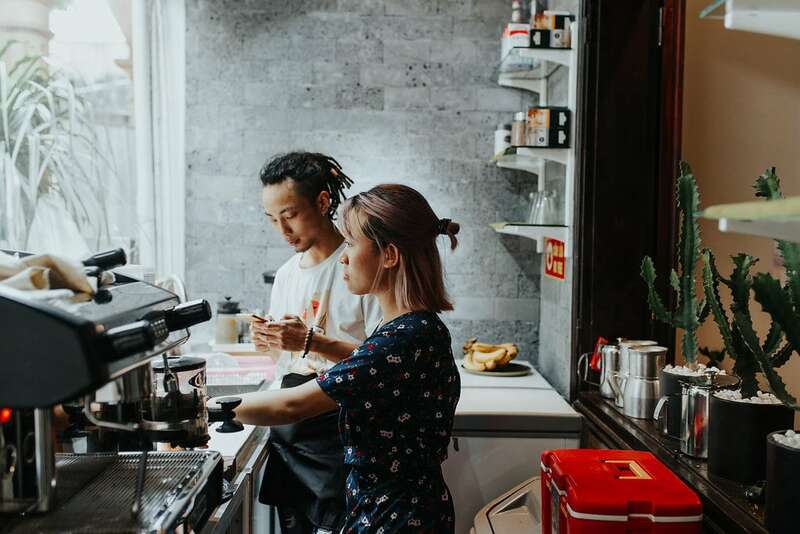 Vietnam is a major exporter of coffee, cashews, and rice. The problem is the farmers get little to no benefits in return. That means they don’t have the funds to register their products with the proper authorities. This hurdle makes it extremely difficult for local famers to enjoy a comfortable life. We are on a mission to change that. It’s time for the locals to get back what they deserve. Part of our brand’s ethos is to infuse as many Vietnamese ingredients into our craft beer as possible—and to ensure the farmers get a fair return. The only exception is that we have to source hops elsewhere. It’s our way of tweaking western craft beer culture in order to better suit Vietnamese taste profiles. With this apporach we can work together to boost the agricultural community. 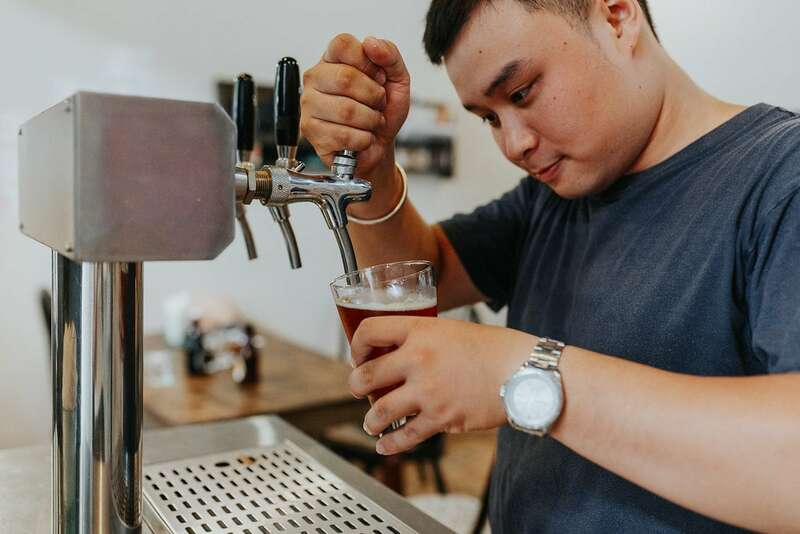 Another part of our brewery’s philosophy is to play with Vietnamese ingredients that are not normally incorporated into craft beer,” Tuan explains about his localized take on brewing. What are some of your most unique ingredients and where did you source them? 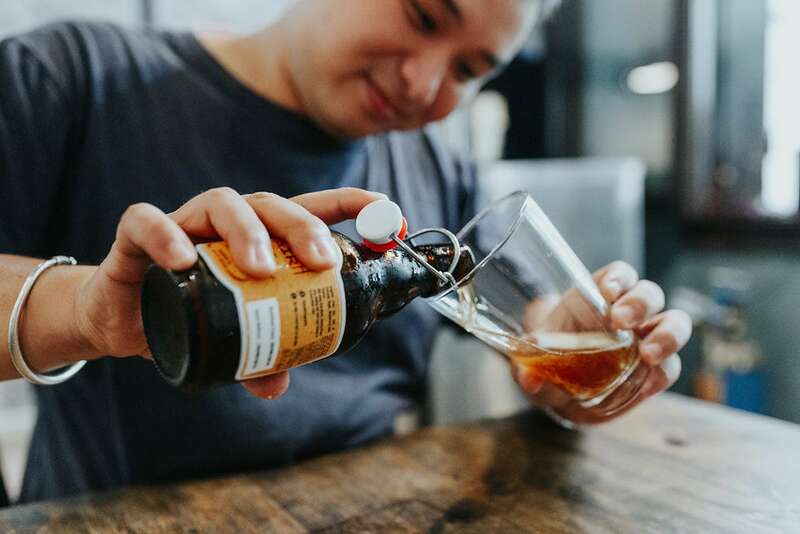 Another part of Thơm Brewery’s philosophy is to play with ingredients that are not normally incorporated into craft beers that are already on the market. Our buckwheat is sourced directly from Ha Giang by my friend Daniel Hoai Then Nguyen who is a biologist in the region. We’ve also infused our beers with Phu Quoc and Quang Tri black pepper. Another one of our brews contains cacao nibs from Ba Ria in Vung Tau province. 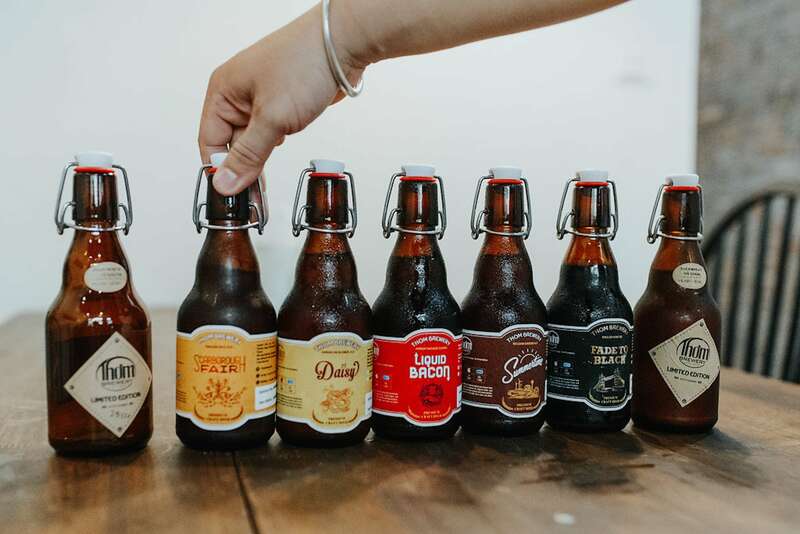 Thơm Brewey has eight flagship beers in addition to their small batch specialty beers. So, do you label your products as Vietnamese craft beer? Yes, we feel we are making true Vietnamese craft beer. This is why we made sure our name and logo included Vietnamese characters—Thơm. We did this with the intention that every Vietnamese person could easily recognize and remember our brand. If they want bia Thơm, they know where to go, and they know it’s a high-quality product that’s made in Vietnam. Right now, we’re available at 20 locations and we are growing quickly. That’s something we’re proud of—although we’re in no hurry to grow too quickly. Another reason I would classify ourselves as a Vietnamese craft beer brand is because our entire team is Vietnamese. We want to introduce the industry to our people and give them an opportunity to succeed. “One reason I would classify ourselves as a Vietnamese craft beer brand is because our entire team is Vietnamese. We want to introduce the industry to our people and give them an opportunity to succeed,” Tuan smiles. Aside from expansion, how else do you measure success? The Vietnamese actually like to drink sweet, strong, and thick beers, so we brew our beers for the Vietnamese palate. One pleasant surprise is that foreigners have also taken to our style of Vietnamese craft beer. We’ve even done a few blind tastings and people could identify which one was ours immediatley. That is a clear sign we are doing something right. How would you convince consumers to drink craft beer instead of commercial beer? Commercial beer can be found on every corner across Vietnam, and each brand has a recipe that’s replicated on a massive scale. They are usually light in color and body, with a touch of malt. The taste profiles are flat and there’s no element of exploration. Everytime you drink a commercial beer, it will be a carbon copy of the previous one. But that’s not the case with craft beer. Craft beer is about the journey to unlock unique flavors and aromas. We put buckwheat in our beer because we wanted to find out how it would taste in the form of a beer. If you like the commercial classics go for it, but craft beer is for those that want something more creative and playful. They don’t want the same beer everyday for their entire life. It’s up to the individual to decide if they want to explore or not. “Craft beer is about the journey to unlock unique flavors and aromas. It’s for people that want to experience something new and intriguing,” Tuan explains when asked how his beer is different from commerical brands. What’s in store in the future for Thơm Brewery? There is the trend of slow fashion and slow food—that’s our style too. We develop slowly, carefully, and strive for perfection. We are not in a race. Which brew would you suggest to someone that’s never tried your beer before? Our Dante’s Inferno is a Belgian Quadrupel and it has hit really well our consumer base. However, be careful as it weighs in at 12% ABV. If you’re used to drinking craft beer, I would recommend our American-style Reckless IPA. If you don;t know where to start we have seven styles for you to taste and explore. Samle each and see what you like best. The Summertime Belgian Saison or our Daisy Golden Ale make way for a smooth transition into the world of craft beer. “There is the trend of slow fashion and slow food—that’s our style too. We develop slowly, carefully, and strive for perfection,” Tuan shares as he pours another round. Give us one craft beer and food pairing from your menu that everyone should try. For a summer-time pairing I would go with the Buckwheat Ha Giang and a nice, light green garden salad or baguette. Daniel Hoai Tien Nguyen. Not only is he a biologist, but he’s also our go-to man for sourcing some of our special ingredients like buckwheat.